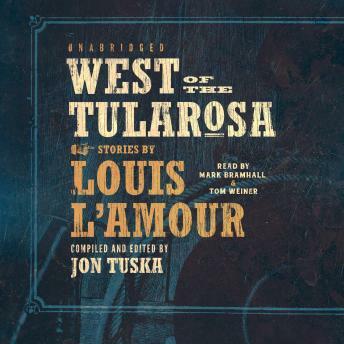 Louis L'Amour said that the West was no place for the frightened or the mean. It was a 'big country needing big men and women to live in it.' This volume presents eight of L'Amour's ever-popular short stories-history that lives forever. Johnny O'Day, once rescued by the Redlin family, may be the only one who can save Sam Redlin from gambler and saloon owner Loss Degner in a fight over a woman. A potential range war between nesters and ranchers has divided the townspeople, and now Bush Leason, the big nester, has shot Shorty Grimes in the back. Cat Morgan is in the process of bagging a big mountain lion alive, with the help of Long John Williams, a wizard with a rope, when a lynch posse arrives and accuses Cat and Long John of horse stealing-and they intend to hang them right there. The Mohave Kid is deadly with a gun and a vicious character, but he is part of a large clan that protects him because he is family. When Marshal Ab Kale orders the Kid to stay away from his town, the Kid sees it as a tempting challenge. Home is still more than two hundred miles away when Jim London comes across the burned-out wagon train with only one survivor, a five-year-old girl. He'll have to take her with him. If Steve Mehan can make it to Portland, Oregon, from Sacramento on horseback and beat the steamer carrying some bad news, he can still recoup the money to save five ranches back home. Mac Marcy is a small-time rancher whose cattle access a water hole on Bob Kenyon's land, until Kenyon fences it off during a heat wave. But Kenyon's daughter knows of a secret water source. Ward McQueen, foreman for the Tumbling K, is accused of killing a nearby rancher and he's going to need some help to prove his innocence.